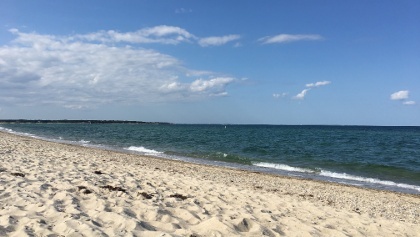 Starting from the seaport town of Hyannis, ferry to Oak Bluffs Harbor on Martha’s Vineyard, a favorite island destination for travelers near and far. 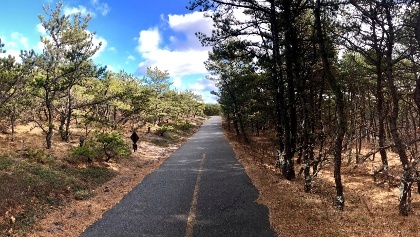 Pick up your bicycle and pedal along the local bike path paralleling inlets of golden beaches and sparkling ocean. 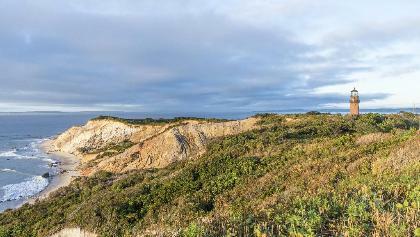 Explore Edgartown’s Victorian architecture, Aquinnah’s dramatic coastline and Oak Bluff’s Queen Anne cottages before ferrying back to the mainland of Cape Cod. 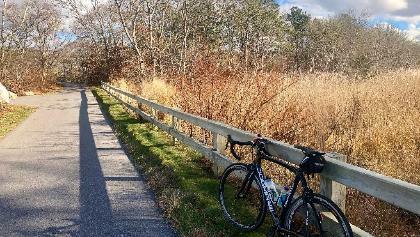 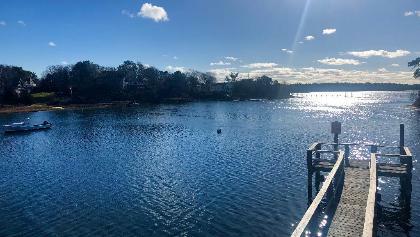 Bike up the Cape Cod Rail Trail to Chatham and Orleans, enjoying New England countryside and hospitality along the way. 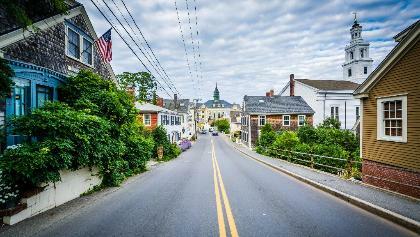 Continue to Provincetown, a pilgrim settlement from the Mayflower in 1620 and one of the Cape’s liveliest port towns. 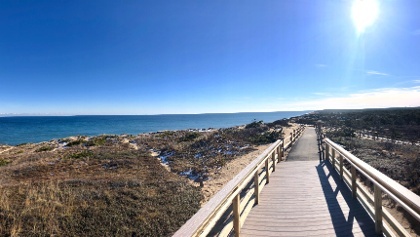 Ride to Race Point Beach, join a whale watching excursion or roam the art galleries before boarding a ferry back to Boston, in farewell to your complete Cape Cod adventure.